Located at the west of Nanjing Road, Jian Temple is one of the most famous temples of Shanghai. It is at the downtown flourishing area of Shanghai. In the year 1983, it was put on key national protection list. This temple has more than 780 years of history. 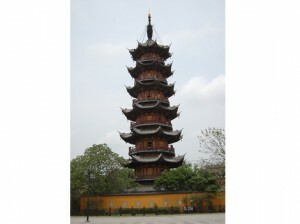 It was built in the period of Three Kingdoms and named as the Hudu Chongyan Temple. It was moved to its present location by the Southern Song Dynasty form the bank of the river Wusong. It has been crowded places until the year 1908.d it was first built as the Jing’an Temple and later it was renamed to Jian’ng Temple in the year 1945. It was unfortunately burnt down in the year 1972 but soon reconstructed. In 1990, this temple was opened for the public. 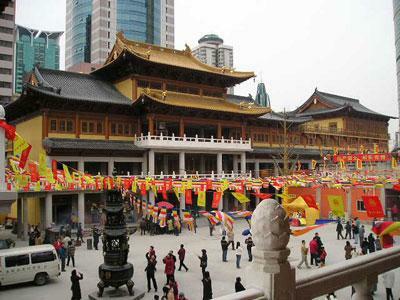 You can escape from the bustle and hustle of the crowds in Jing’an Temple. You can also enjoy the marvelous calligraphy and painting by the Yangzhou’s Eight Eccentric painter which is in the exhibition hall of the Buddhist Relics. Confucius Temple is located in Wenmiao Road and it is the only ancient architecture which is dedicated to Confucius in the central Shanghai. It was built in the year 1368-1398 for worshipping Confucius who was believed to be a great educator, thinker and founder of Confucianism in China. It has been one of the top learning institutions for several years in shanghai. Temple of Confucius is one among the four ancient stone carving groups of china and famous as the Treasure house of the Stone Carving Art. It consists of more than 28 ancient buildings which is built with the large number of the stone carvings which includes Dacheng Hall, Xunjing Pagoda and Minlun Hall. Most of the building have been pulled down or destroyed and others are well preserved. Longhua Temple is the oldest temple in Shanghai for its long history of over 1700 years. Because of the several destructions by the wars, most of the buildings here were reconstructed during the reign of the Emperor Tongzhi and Guangxu in the Qing Dynasty.